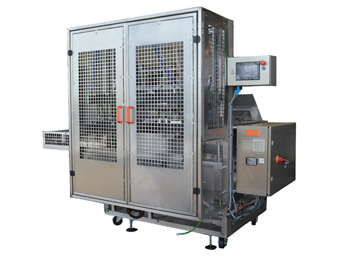 Keymac’s top load carton forming and closing machines are for the confectionary, bakery and frozen food industries. Automatic product loading is also available using multihead weighers, robotics and unique purpose built manual loading stations. These robust machines offer cost saving features and are unmatched for performance and reliability. Low maintenance requirements and reduced running costs make these machines an excellent choice to provide you with the next step in efficiency and productivity. 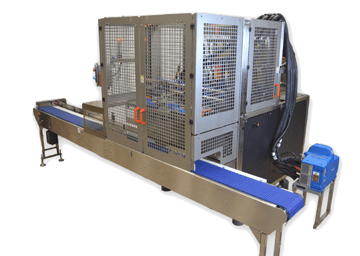 The KCF Carton Former by Keymac forms a wide range of tri-seal carton and slotted carton designs with locking tab closures at production speeds from 60-120 cartons per minute. 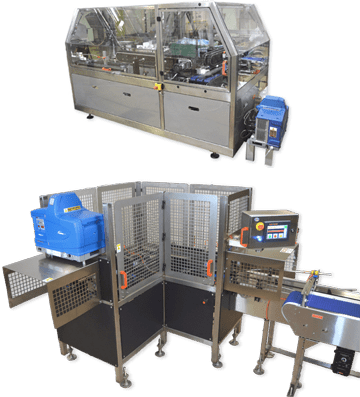 The KCCR Carton Closer by Keymac is a fully-automatic continuous motion right angle tri-seal carton closer that operates at speeds up to 120 cartons per minute.